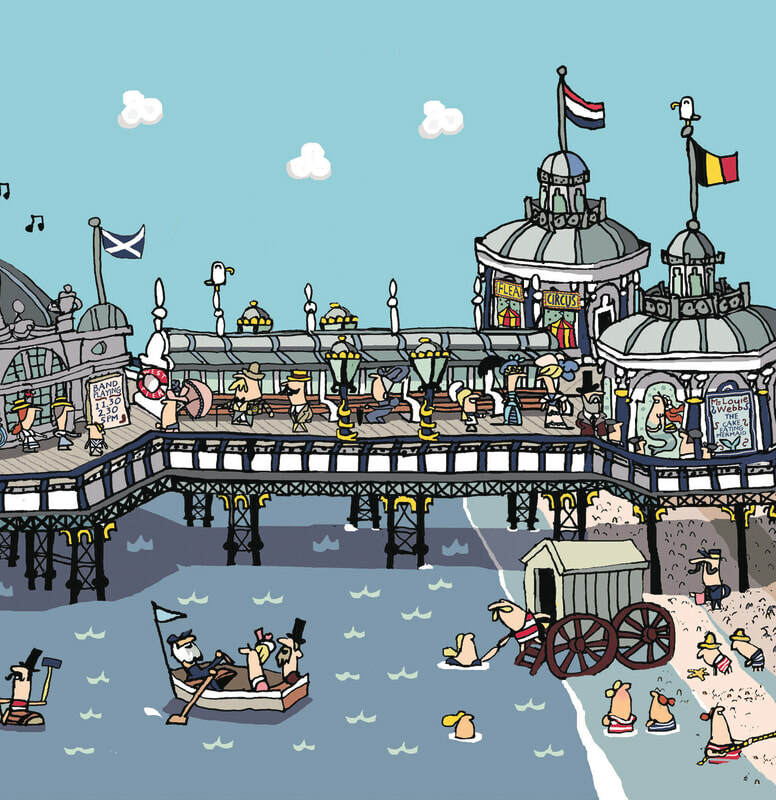 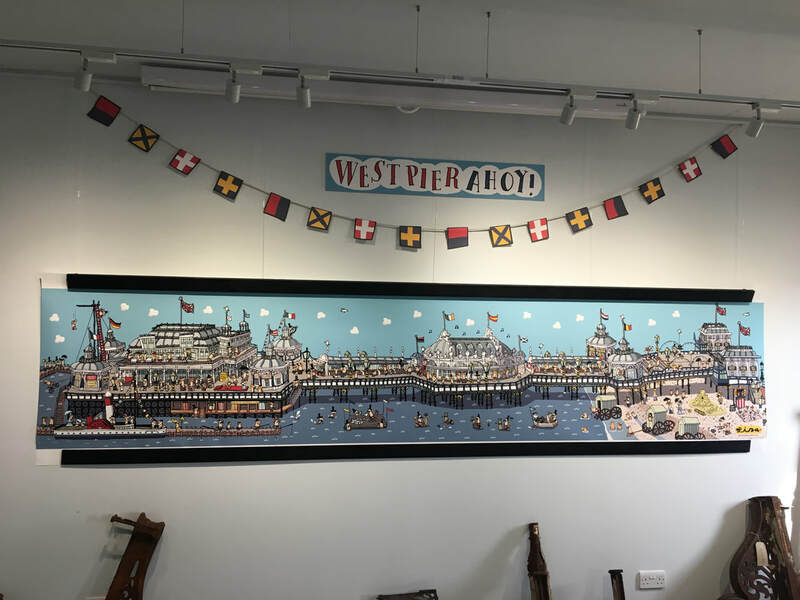 If you are wandering along the seafront in Brighton this summer, do please pop in to the West Pier Centre and see an enormous picture that I have drawn. 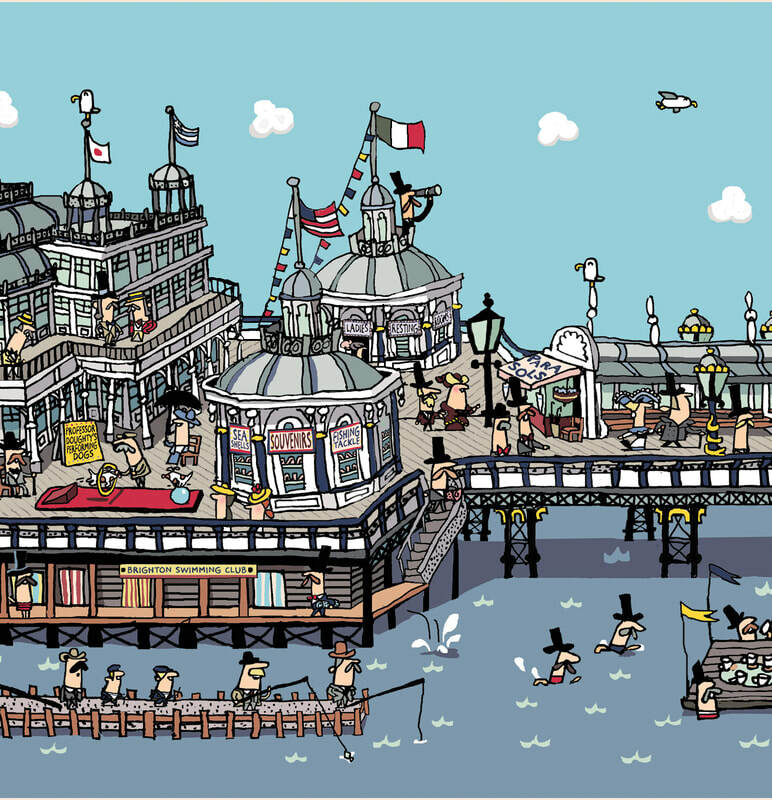 It took me two months to do! 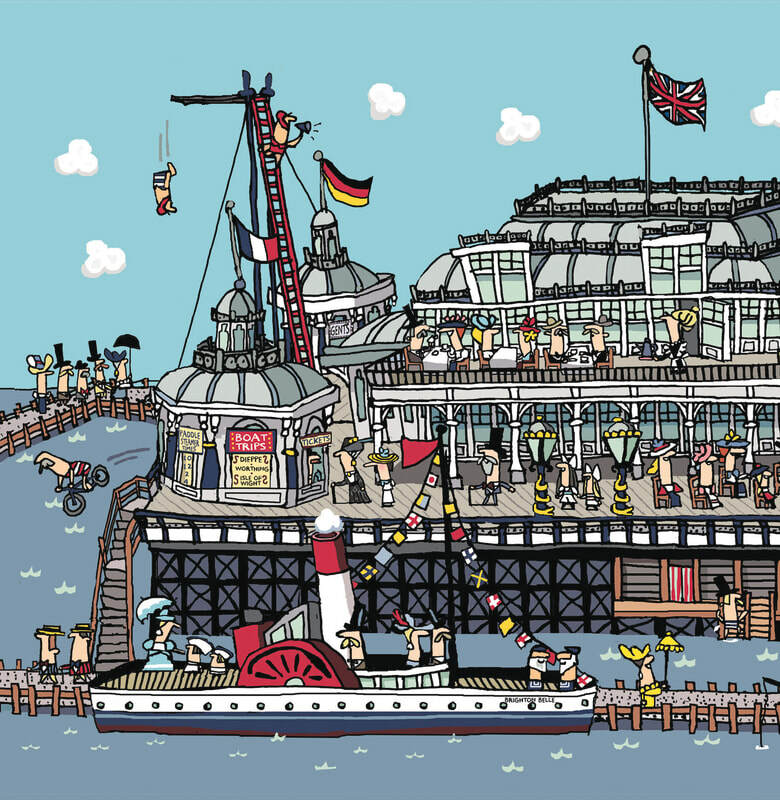 There is an I-Spy activity to entertain the kids, and lots of my cards, prints and puzzles for sale. 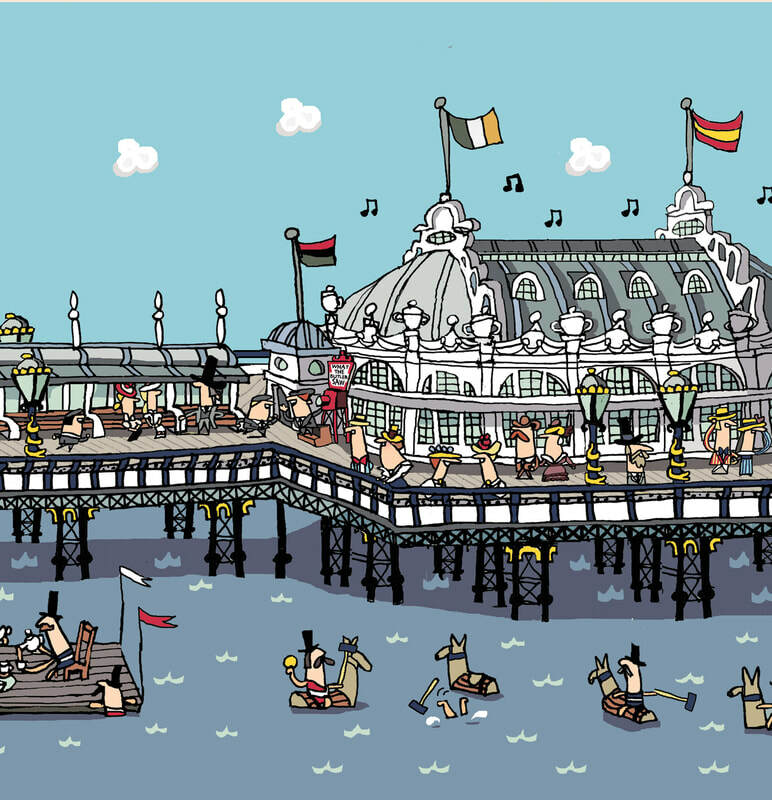 I am also selling a unique concertina card which features the whole image there! 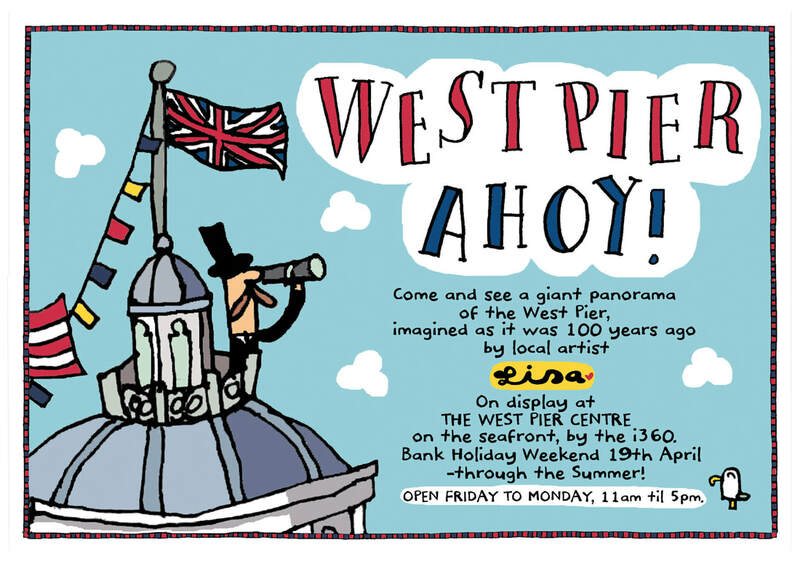 If you can't make it along, but love the West Pier, you can also purchase the card here.